imAndystorm.com. Singapore Lifestyle. Travel. Food. 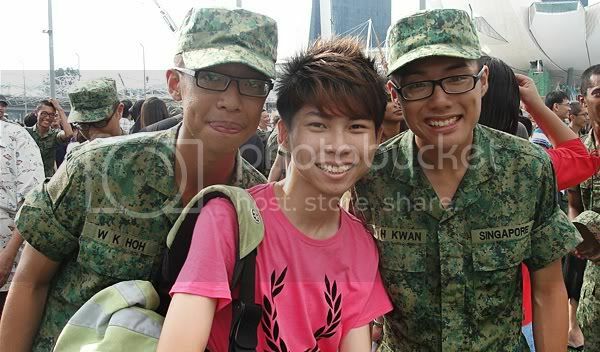 : POP at Marina Platform! Psst! This is a scheduled post. 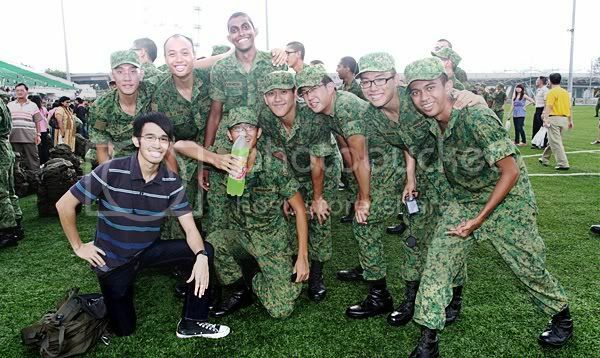 By the time you read this post, i guess i should be training at the Officer Cadet School in Jurong. BMT has past in a blink of an eye. 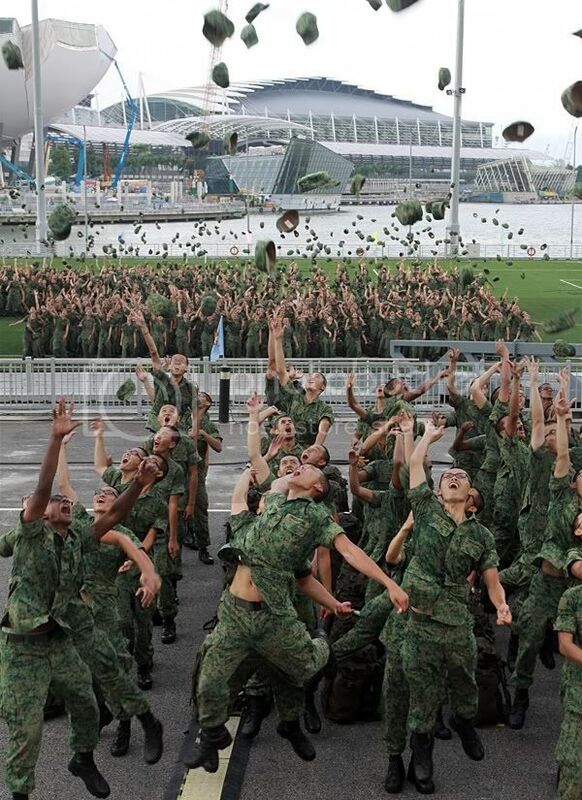 4 months of tough training, and finally it's the day where we graduate - 2nd October 2010. 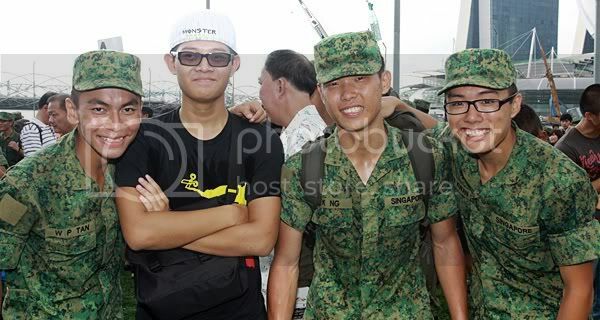 The night before was the 24km route march, all the way from Changi beach to the Marina bay floating platform. I repeat, 24 WHOLE KILOMETERS. Throughout the 24km, i kept thinking - "When are we reaching, when are we reaching..." but no one gave up. It was our last obstacle. Finally, we reached the F1 racing pit at 4.30am. 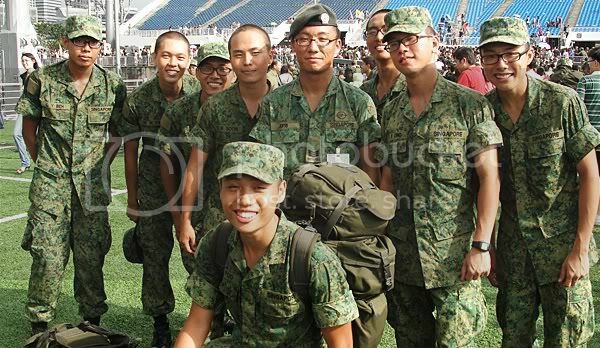 We had about 3 hours to prepare for the parade that we have been rehearsing all the while under the hot sun. 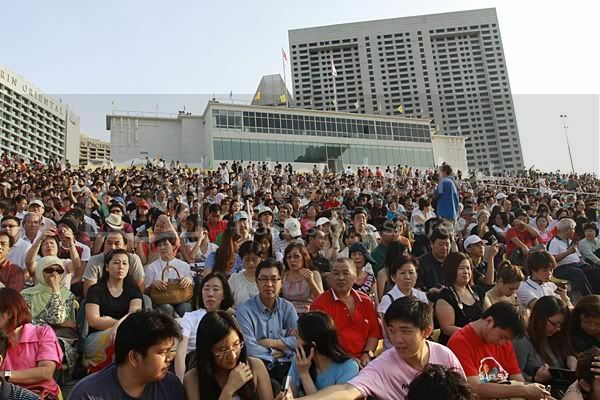 8am: Our loved ones seated at the Marina Bay platform, waiting for us to march in! 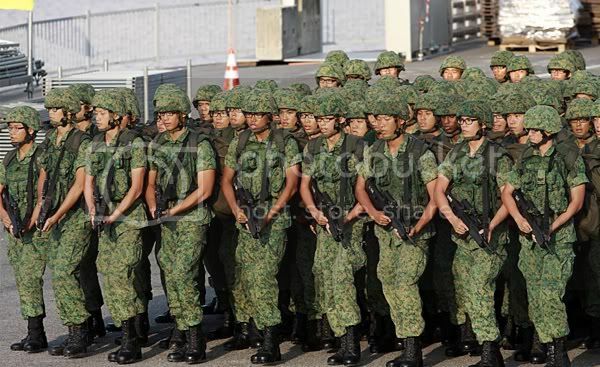 *Sings* "Training to be soldiers, fight for our land. 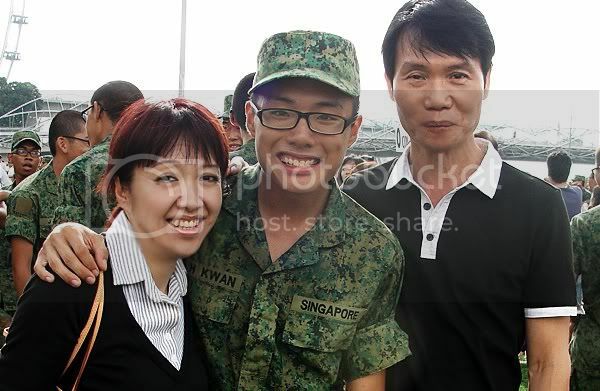 Once in our life, 2 years of our time~"
Jiaqi managed to zooooom all the way and caught me on camera! 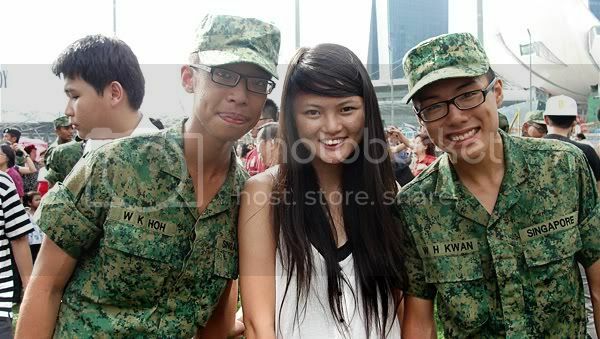 Ehh, that guy's expression?! 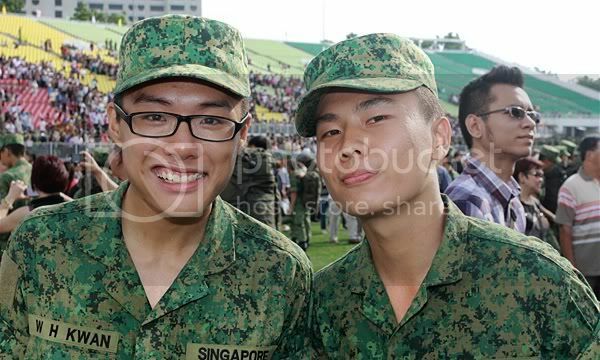 Platoon Mate, Jeremy! Exchanged name card leading to others knowing my blogger identity!